The summer of 2017 was an interesting one to say the least. 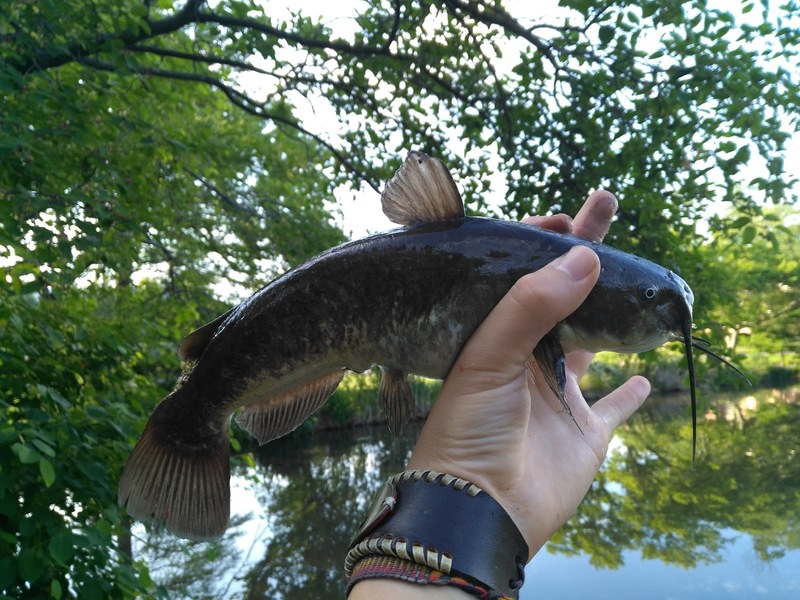 I caught fish in seven countries, 26 of them being new species. Although it was busy, the summer rewarded me bountifully. Thus began an international adventure I will not soon forget. The refreshing release from my sophomore year of high school couldn't have come soon enough. 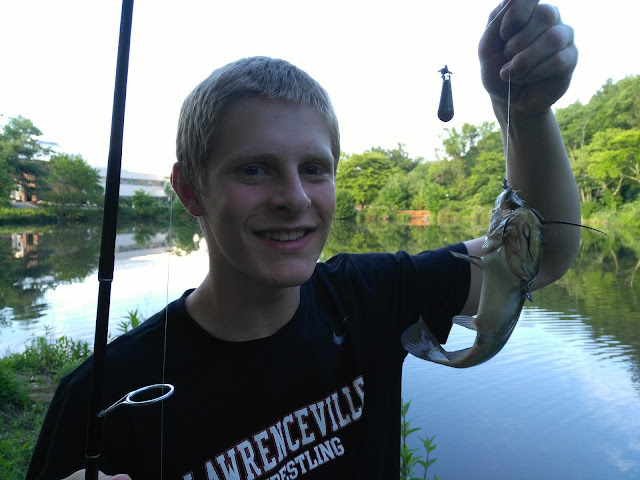 After my last final, I decided to do something I hadn't done before: fish the school pond. Our school pond was not exactly the most aesthetic of waterbodies—with a visibility of around 3 inches, it also kinda smelled. Nonetheless, there were fish here, and I was determined to catch them. 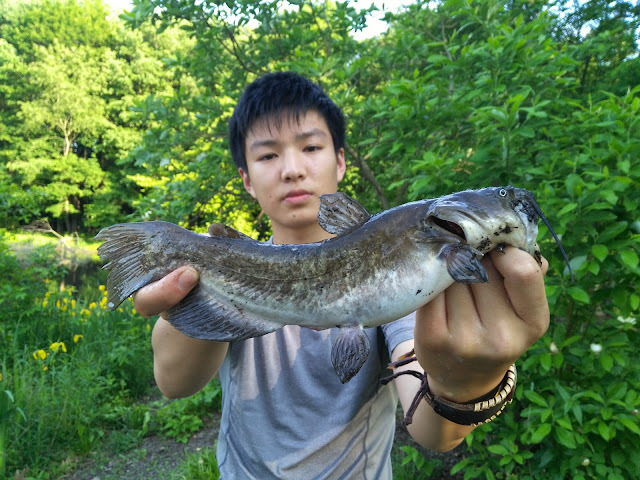 My friend Sam and I, after our finals, went over to the pond to get some fly fishing practice in. 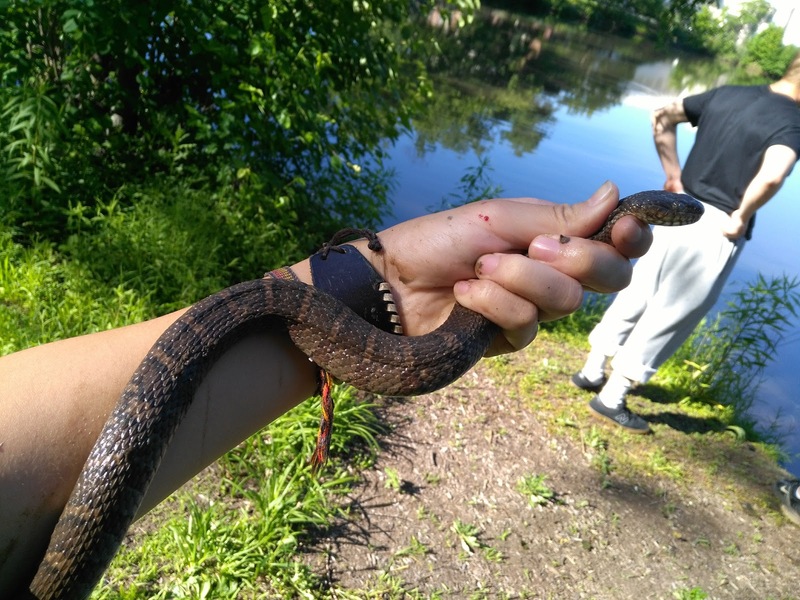 Before we started fishing, however, I spotted movement in the grass and quickly snatched up a large, angry northern watersnake. Watersnakes aren't exactly the friendliest of snake species, in quite a stark contrast with the pacifist garters I had caught earlier in the year on the campus. Although their teeth are small, watersnakes (this one especially) seem to come from the darkest depths of hell and will stop at nothing until they've bitten you, your mother, and your dog. I admit it got me a couple times before I could secure a grip on it behind its head. 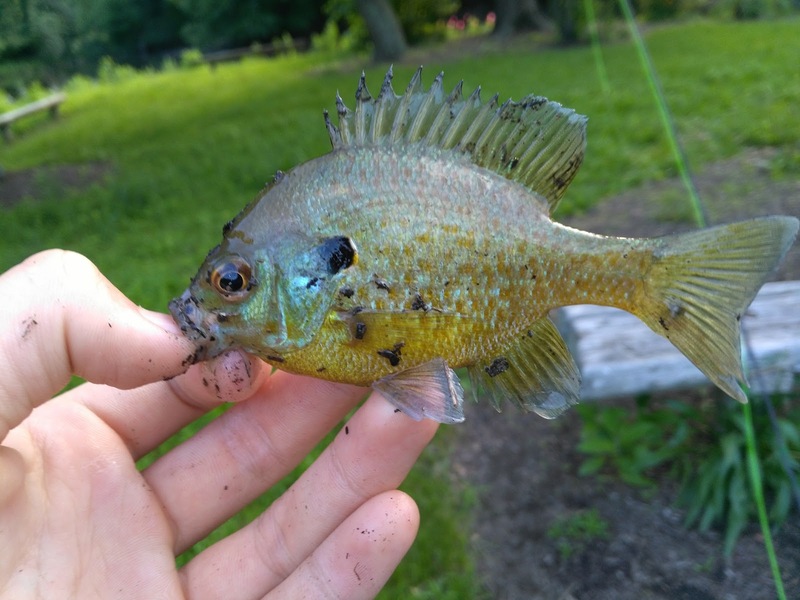 Upon casting our first flies into the water, we immediately found droves of small, but ravenous green sunfish, pumpkinseeds, and bluegills. I did catch one of note: a pumpkinseed x bluegill hybrid that was the first specimen of such that i have photographed. 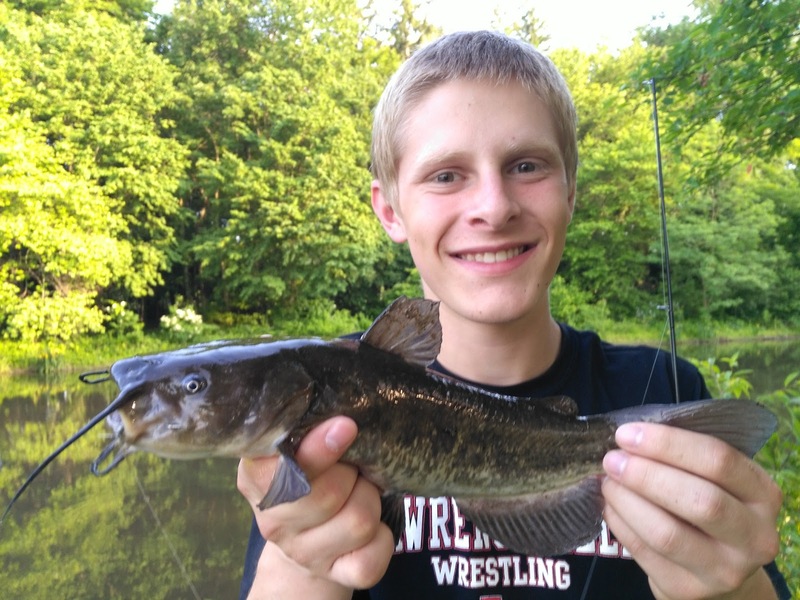 The sunfish got tiring quickly, so we set out some cut sunfish for bullhead bait and some corn for carp. The corn never produced, although we did see some koi swim by. How to catch them will be a mystery for another day. 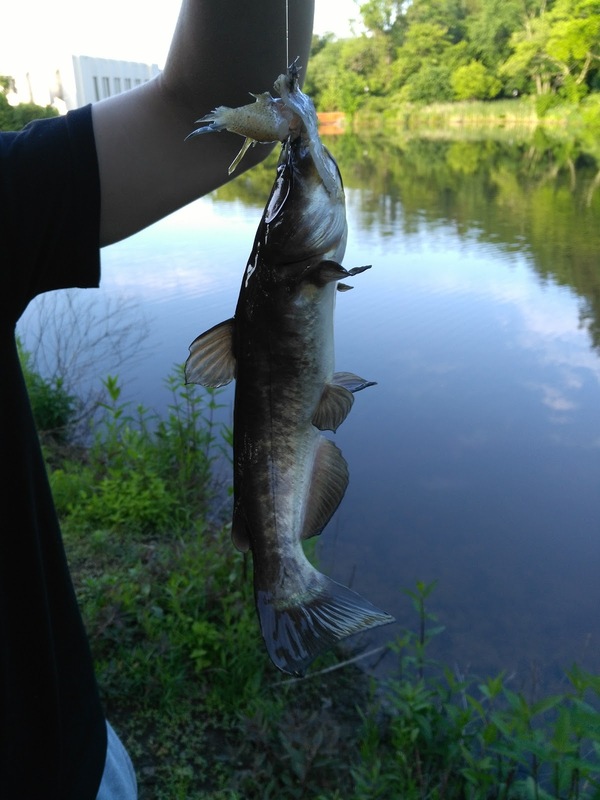 On the other hand, we did find a plethora of solid-sized brown bullheads, which did prove to be good fun on light tackle. And by plethora I mean it, we had bites on cut bait almost every cast. Nothing too significant for this rushed beginning to the summer, but more was to come. 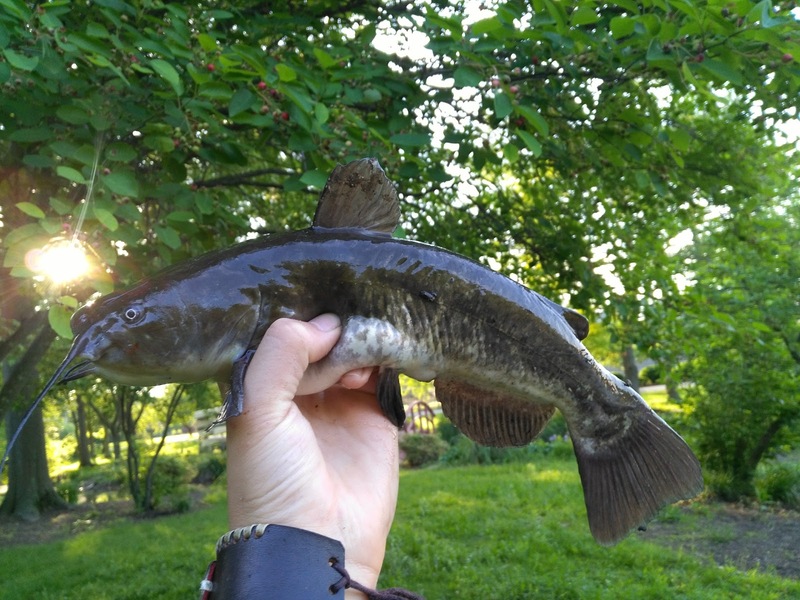 Besides, I had found my new favorite brown bullhead spot.